One of the most respected innovators and pioneers of synthesis and production Donald “Don” Buchla was born on April 17, 1937 in South Gate, California. Back in the 1950s, while studying at the University of California, Berkeley, Don thought about creating and producing electronic musical instruments for live performance. He received his degree in physics in 1960, Berkeley, California. A little bit later, Buchla, who already had a music education and was a software engineer, interested in the ideas which belonged to his predecessor Bob Moog, the well-known composer Morton Subotnick and the avant-gardist Ramon Sender, set about creating his own model of the instrument. Another composer – without whom one can not imagine Buchla synthesizers – is Richard Lainhart (died in 2011). With the help of the Haken Audio Continuum interface controlled by finger touch he was able to implement the possibilities of Buchla’s synthesizer in a fairly accessible form considering application in serious electroacoustic music, which has been attracting great interest to his instruments over the past decades. Unlike Moog’s early instruments, Buchla did not create a piano-like keyboard. The basic System 100 was equipped with an array of capacitive touch panels that could be adjusted for any desired voltage control. This decision made by Buchla led to much more experimental options for extracting a peculiar and amusing sound than those offered by first Moog synthesizers. There were other conceptual differences between Buchla and Moog synths. For example, voltage controlled oscillators with numerous complex modulation options with less use of filters. This led to the separation of concepts that became known as East Coast Synthesis and West Coast Synthesis. Buchla’s West which emphasized the experimental side of electronic music achieved a greater variety in sound extracting and, as a result, turned the synthesizer into quite a curious creature. In 1969 Buchla sold Series 100 to CBS. In the early 1970s Buchla became the first synthesizer manufacturer and experimenter in the field of computer-controlled devices. At the same time, his next invention, Buchla200 Series Electric Music Box”, was released – it was produced until 1985. In 1971 Don created the first analog synthesizer with digital control Buchla 500 series. This 500 series, used an expensive PDP-11 minicomputer equipment (microprocessors were not available back then and were mainly distributed to universities). Throughout the 1970s and early 1980s, Buchla continued to produce revolutionary synthesizers based on its control algorithm and were something of a trade secret among electronic music insiders. He collaborated with Gibson and other companies. Shortly thereafter, Buchla 300 series was released – it is a machine mixed with 200 seriesand featuring built-in microprocessors. Music Easel, a small portable, functionally complete synthesizer – all in one – was released in 1972. In Buchla 400 – with a video display, was released in 1982. Buchla has never dealt with digital synthesis methods. But then MIDI appeared, and analog devices began to lose popularity. He moved offof their trodden design and started developing alternative MIDI controllers. Don released Buchla 700 with full support MIDI/Wahzoo support in 1987. The 1990s came, and Buchla began to develop alternative music interface controllers. A number of devices such as Thunder (1990), Lightning (1991) and Marimba Lumina led to a revival of interest in analog synthesizers. Buchla produces a converted 200 series called 200e. Bob Moog wrote about Buchla that over the past four decades Buchla instruments had been consistently setting standards for innovative music interfaces that provided the performer with easy access to the vast richness of sound resource; the new system – 200e modular synthesizer – continued this tradition; the panel layout lacked elegance, while the main functions were the most advanced and musically thickamong the instruments available back then. Piano Bar, released in 2002, ensued from the collaboration with Bob Moog. The reincarnated Moog company still sells it today. During this period Buchla became interested in the possibilities of using electronic music technologies to improve human communication and help people with disabilities. He developed a number of mobile communication tools, and also worked on physiological telemetry systems for hospitals and the aerospace industry. Buchla, as the owner of patents in the field of optics and musical instruments, held consultations for some instrument manufacturers, including CBS, Kimball piano, Zeta Music, Yamaha International, Gibson Guitars, and E-MU Systems. He served as technical director in the California Institute of Arts, technical director of Electric Symphony and co-director of the research team of artists. Don received grants from the Veterans Administration (guidance devices for the blind), the Guggenheim Foundation (music languages) and the National Foundation for the Arts (composition). In 2002, he got a SEAMUS Lifetime Achievement Award in recognition of his pioneering achievements and lifelong contribution to the art and craft of electroacoustic music. In 2012, the founder of “Buchla& Associates” sold his brainchild to the Australian music distributor “Audio Supermarket” at a difficult time of fighting againstcancer, which made it impossible for him to continue to perform such usual daily duties as sales management and marketing. Fearing for their financial situation in the future and for the opportunity to independently develop new products, Donald agreed with the Australians on the formation of a new company called “Buchla Electronic Musical Instruments” under their aegis. There’s a version that in addition, the claim appeals to breach of the terms of Buchla & Associates buyout, because the new ownerscould not make reasonable business efforts to stick to the sales plan. The suit also sheds light on the fact that Buchla was hired by the new company for the position of chief technical officer which was unreasonably canceled in 2013. According to Don’s lawyers, unscrupulous partners have done everything to prevent the founder of the company from taking advantage of the transaction between the parties of the process. As part of the litigation, Buchla was trying to regain control of the company’s initial assets, intellectual property and confirmed orders for Buchla & Associates, in addition demanding compensation for losses and moral damage – this was at least $500,000. And if, during the trial, it also turned out that the heart attack that Don Buchla suffered in 2014 was provoked by unauthorized actions and pressure from the “Audio Supermarket”, the claim amount would increase. The first Buchla’s serial synthesizer, Series 100, was released in 1966. Despite the fact that his devices could not compete with the popularity of Bob Moog’s designs, Don played a huge role in shaping the electronic music. The first commercial electronic album “Silver Apples Of The Moon” by Morton Subotnick made with the help of one of the early Buchla synthesizers proves the importance of the brand. What is the price of justice and respect in today’s music industry? To take advantage of the weakness of a man at a venerable age who fights several diseases is a stigma. 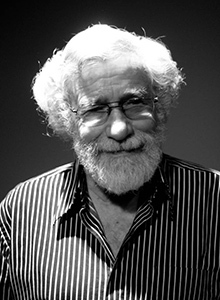 Documents on the lawsuit of Don Buchla against the “Audio Supermarket” are freely available.